To course the stag with noble hound. Of dog renowned for strength and speed. Of this one fact we can be sure. 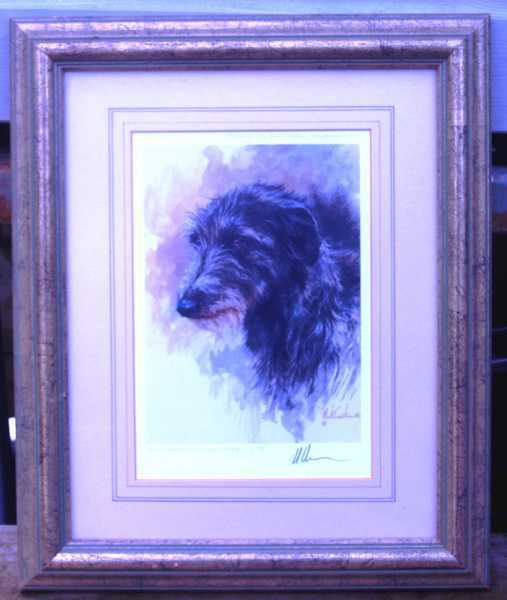 Of this paragon - my Scottish Deerhound. There are various versions of pictures used to accompany these words, including photographs of individual deerhounds, I presume owned by hound enthusiasts. 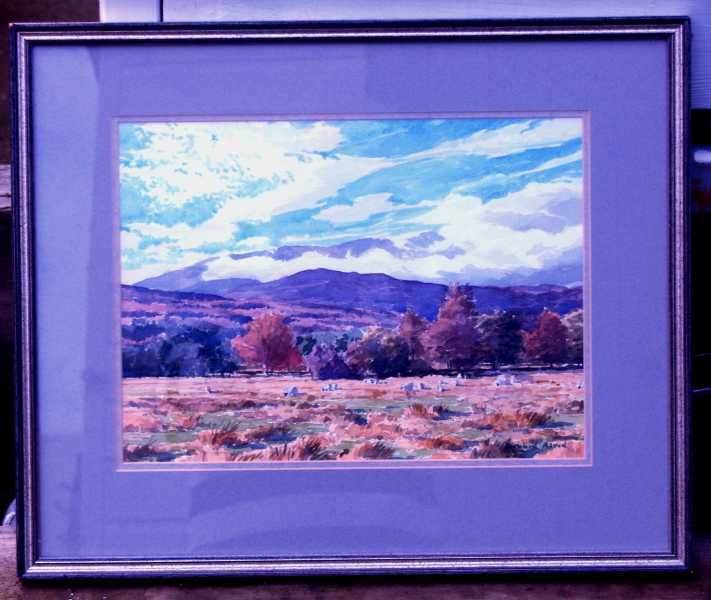 The framed original measures 22" x 18" . 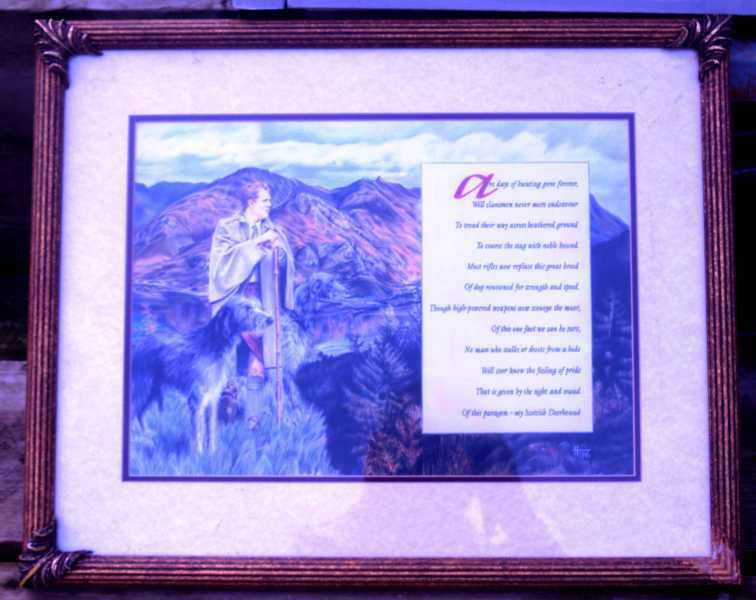 I have also included another watercolour of my father's, this time an original by an artist named Richard Alred D.A. I only include this one because it is a picture of hills overlooking Rannoch Moor, one of my father's favourite places for walking his own hounds. He even had a dog named Rannoch, as I'm sure some of your members have. 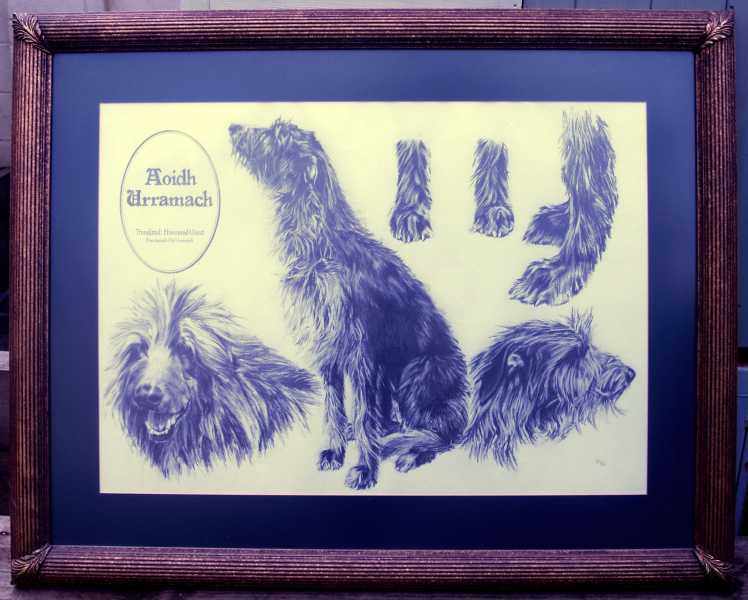 I do hope these prove of interest to club members, it would be good to see them owned again by deerhound owners. Last Edit: 4 years 4 months ago by Teratyke.